Each lesson and its general content are defined below. OVERVIEW AND PRINCIPLES OF RESUSCITATION encompasses normal newborn physiology, principles of neonatal resuscitation, risk factors, and personnel and equipment needed for neonatal resuscitation. INITIAL STEPS IN RESUSCITATION includes how to tell if a newborn needs resuscitation, how to establish an airway and provide initial steps of resuscitation including administering oxygen, as well as management of a newborn with meconium stained amniotic fluid. USE OF RESUSCITATION DEVICES includes when and how to administer positive pressure ventilation and how to evaluate its effectiveness. CHEST COMPRESSIONS includes when and how to administer chest compressions and when to discontinue chest compressions. ENDOTRACHEAL INTUBATION includes indications for endotracheal intubation during resuscitation, how to prepare and select appropriate equipment for intubation, how to perform intubation. MEDICATIONS includes what medications are used during resuscitation, medication indications and administration techniques, appropriate volume expanders, technique for insertion of umbilical venous catheter. 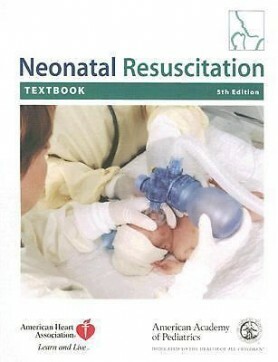 SPECIAL CONSIDERATIONS covers special situations that may complicate resuscitation and cause ongoing problems after resuscitation; content also includes how to apply resuscitation principles beyond the immediate newborn period and outside of the hospital setting. RESUSCITATION OF BABIES BORN PRETERM includes special precautions and risk factors associated with preterm birth as well as additional resources and personnel required for resuscitation of preterm infants. ETHICS AND CARE AT THE END OF LIFE includes discussion of ethical principles associated with starting and stopping neonatal resuscitation including communication among team member and parents. The standard-length NRP Provider Course consists of 9 lessons and introduces the concepts and basic skills of neonatal resuscitation.